Each section of your boat should be handled individually when it comes to winterizing. You should consider each of the following areas, inboard engines, stern drives, outboard engines, fuel, bilges, fresh water systems, head, interior, out of water storage, or in water storage. The first area to focus on is the inboard engine. The inboard engine should be run first, then change the oil in the engine. Next, you should change the oil filter, then flush the engine with fresh water. In addition, antifreeze should be run through the system as well. First, you should flush the engine with fresh water a flush muff. In addition, drain all the water from the engine, then disconnect fuel hose and run until it stops. Finally, add water resistant grease to the threads and propeller shafts. Clean and inspect your stern drive and remove all barnacles and other debris. Check for any leaking seals. Make sure to change water separators and fuel filters, then fully fill your tank to stop condensation from building up. In addition, add fuel stabilizer to the tank. Make sure to thoroughly clean the bilges with hot water, soap, and a good brush. Pump out the holding tank at the proper facility and make sure to add fresh water to it and flush several times. Make sure to fully drain the tank, then pump a non-toxic antifreeze into the system. Clean out the interior, and vacuum out the carpets. Remove all items and electronic devices to prevent theft. Clean all barnacles and debris off hull, rudders and struts. Take time to check for damage to the hull and repair if necessary. These are just a few steps to take when winterizing your boat. 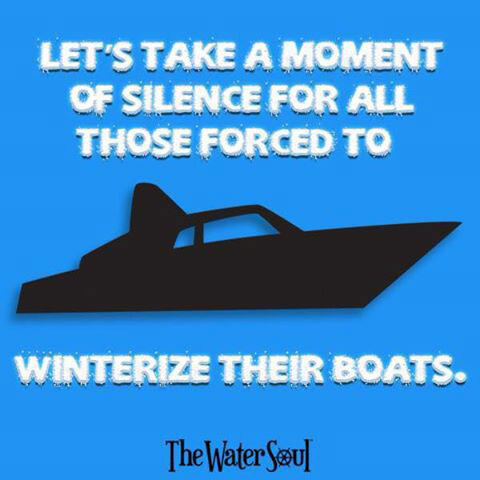 Of course, there is another option opposed to actually storing and winterizing, why not contact the professionals at Sell Us Your Boat. We can make a great offer on a used boat and give you the money you deserve, contact us today!